We are celebrating after receiving a grant of £5000 from Awards for All. The grant has been put towards purchasing competition-standard foam cheerleading safety mats that the team can use to practice their award-winning routines. Head coach, Emma Ireland, said "We have been practicing on mats supplied by our sports hall for the past few years, however the team has grown and their skills have developed to where we need more space to safely work on more difficult gymnastics and stunts. The new mats will give the team the ability to practice in a larger space, which is safely padded and prepare more thoroughly for competitions." The new mats also give us the opportunity to allow more members into their classes, and will be open to new members until January. Our weekly classes are currently closed to new members while we prepare for our next competition, however we will be holding fortnightly taster sessions over the next few weeks for potential new members to come and have a go before joining the team. If you are interested in joining us please come along to one of the dates! DCA's new beginners teams competed for the first time yesterday at Future Cheer's Jungle Fever Northern Regional. The youth team went first, putting on an energetic performance, placing them 6th of 9 teams. The senior team, up against stiff competition from more experienced teams, also took 6th place, after hitting their routine brilliantly. We'll now be opening our doors to new members who would like to join us, before our next competition in March. Deva Cheerleading Academy, based in Chester, is celebrating after receiving a £300 donation from the MARS Milk Fund. Founded in 2009 the cheerleading academy now has 30 members ranging in age from seven to 24 years. Deva Cheerleading Academy runs weekly classes, where members learn a dynamic mix of cheer, dance, stunts and jumps. Emma Ireland, head coach says: “Thanks to a successful recruitment drive this summer the academy has grown significantly. Whilst it is fantastic to see how popular the team has become, we are in need of more equipment, kit and most importantly, coaches to support our cheerleaders. A recent survey conducted by MARS Milk revealed that despite seven out of ten of us starting the week with intention of spending at least two hours on our favourite sport or hobby, cost and tiredness invariably put paid to these plans. The MARS Milk Fund was set up to help individuals, clubs and groups to try something new or simply to spend more time playing their favourite sport or hobby. The MARS Milk Fund, runs until October 6 2013 and has five £300 awards to donate each week. When a Chester community cheerleading team called out for a ‘H’ for help, local Peugeot dealership, Swansway, was only too happy to step in and donate £300 to the team. 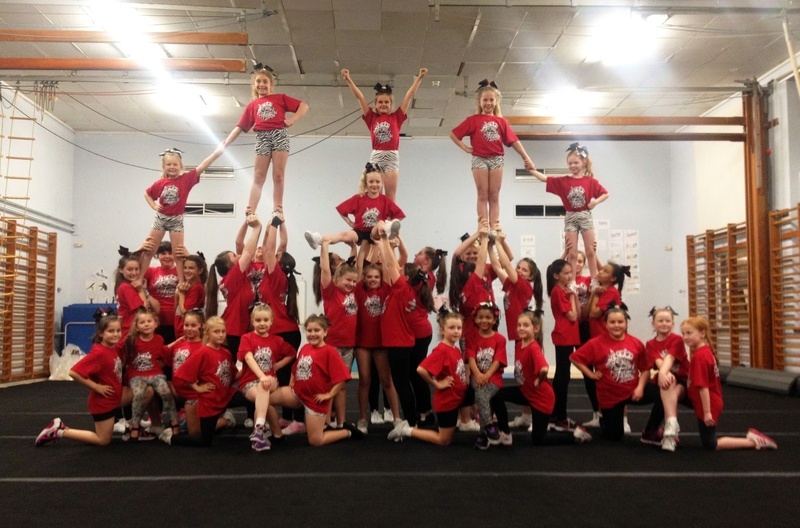 The Deva Cheerleading Academy is a competitive squad – with members aged from seven upwards – and committee members were keen to raise money to help subsidise training gear, uniforms and competition entry fees. 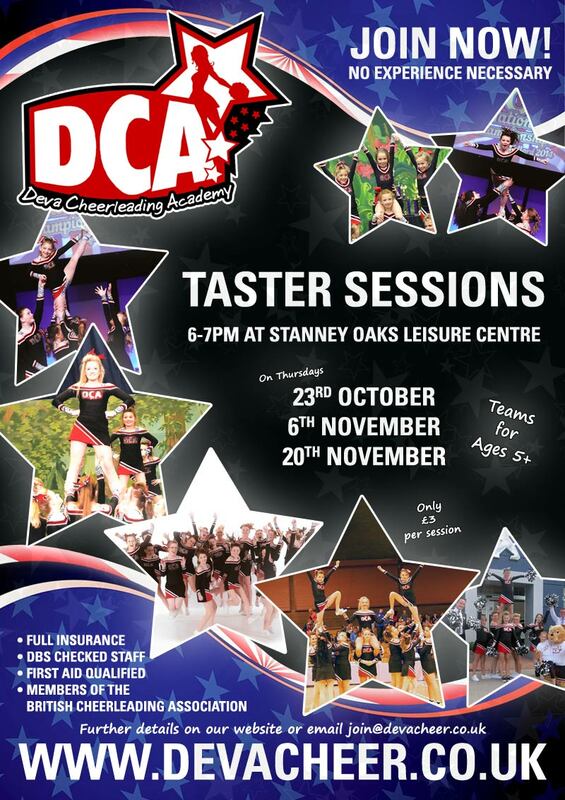 The DCA Allstars learn to cheer, dance, jump and tumble with qualified coaches, before performing at showcase events and competitions. The girls also cheer for a number of local rugby, basketball and American football teams. Andrew Wakelin, dealer principal at Swansway Chester, said: “As a dealership, we strongly believe in supporting local community groups and as the Deva Cheerleading Academy provides a fun way for young people to exercise, the squad was a natural fit for us.